Vera Baumler, age 83, of West Fargo, ND, died Thursday, November 8, 2018, in Eventide at Sheyenne Crossings, West Fargo. Vera Eleanor Cornelius was born February 1, 1935, at Fargo, ND, the daughter of Henry and Eleanor (Gunkel) Cornelius. She grew up in the Golden Ridge neighborhood of north Fargo and graduated from Central High School. Vera worked for the telephone company for 2 years prior to entering nursing school at St. John’s Hospital, Fargo. She worked at St. John’s following her graduation. On September 26, 1959, Vera was united in marriage to Bernard J. Baumler at St. Mary’s Catholic Church, Fargo. 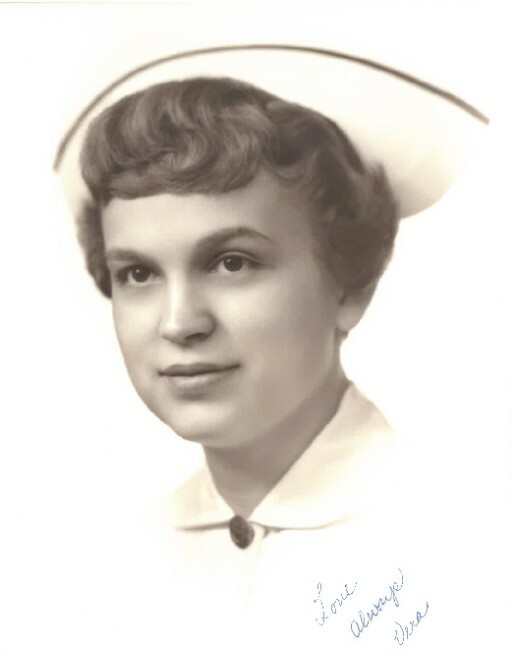 Vera continued her nursing career as an RN in the Fargo/West Fargo community, until her retirement from Prairie-St. John Hospital. She considered her time at Prairie-St. John as the most rewarding part of her nursing career. She is survived by her husband Bernard “Bernie”, West Fargo; one son Paul, Fargo, and one daughter Judy (Jay) Malstrom, Vergas, MN; 4 grandchildren: Vanessa (Abram) Jackson, Christopher Baumler, Garrett Malstrom, Faith Malstrom; 3 great grandchildren: Laela, Chandler & Azalea; a sister Violet Wznick; 3 brothers, David (Paula) Cornelius, Dennis Cornelius, and Clifford (Marlys) Cornelius. Vera was preceded in death by her parents.